When weather permits, there can be few things nicer than swimming in the open air, and outdoor swimming is not just an activity for private pools and parks. 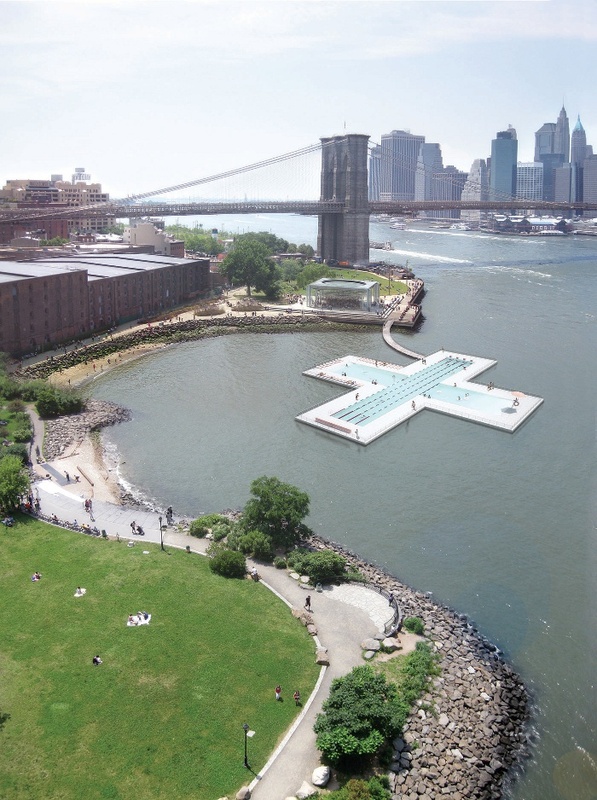 Increasingly, we're seeing facilities for outdoor swimming in urban areas. 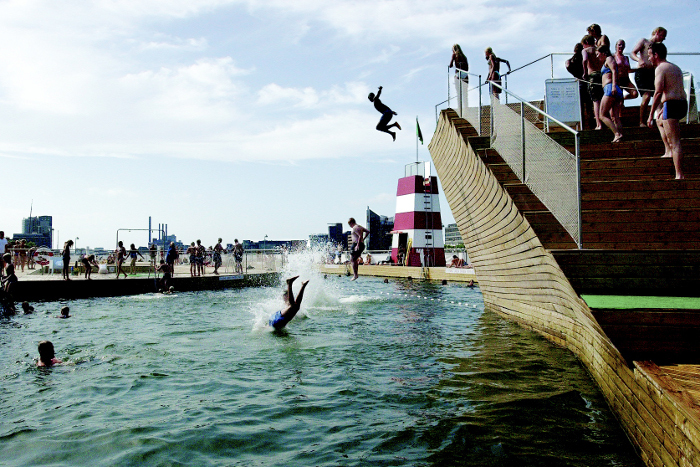 Opening in September, an exhibition at the Roca London Gallery, brings together some of the best existing and conceptual schemes for outdoor swimming in our cities. 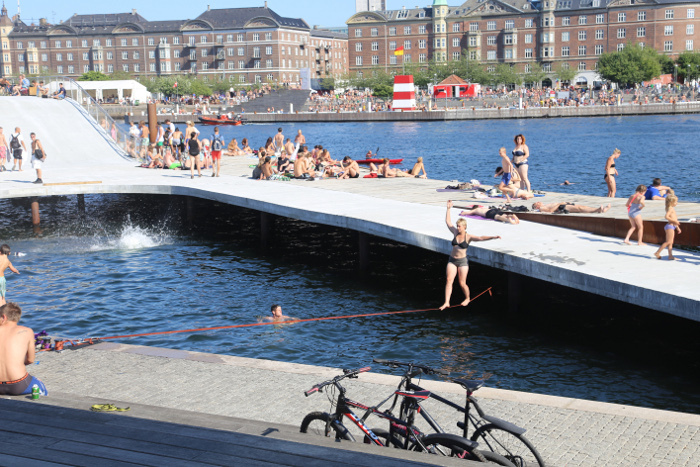 Curated by design consultant and co-founder of Wonderwater Jane Withers, the exhibition, called Urban Plunge, showcases international design and architectural projects that transform urban rivers into public leisure spaces. 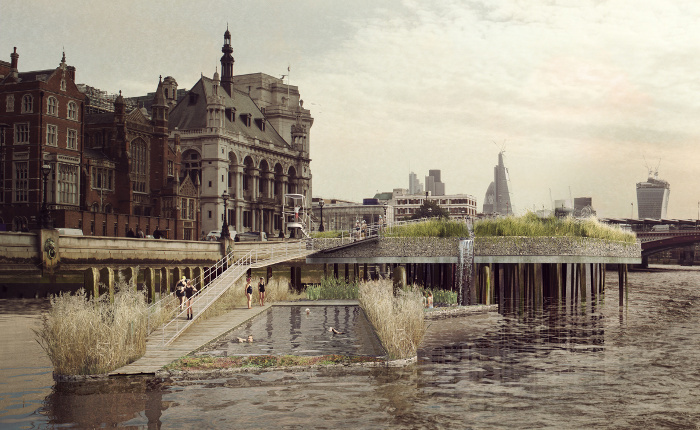 Withers has selected five key projects to illustrate architecture and design's role in radically changing river usage, challenging our attitude to the urban water environment. 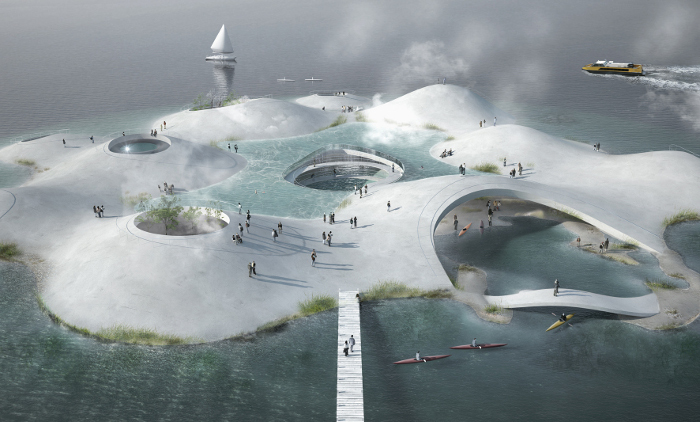 Some of the projects - such as Copenhagen's Harbour Baths by Julien De Smedt Architects have already been realised, while others, such as HOW (House of Water), designed by Tredje Nature and planned for Copenhagen Harbour are conceptual projects. The five projects are shown through drawings, models and photography. Two UK schemes, one for a series of permanent central London river bathing stations - Studio Octopi's Thames Baths - and the other, King's Cross Pond Club by Ooze & Marjetica Potrc, a temporary pool on the King's Cross development site opening this autumn that will create an enclave for public use in the private land under construction. 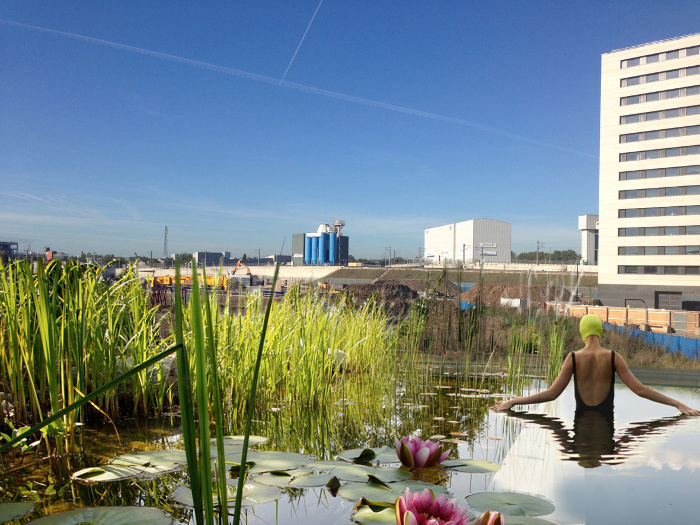 The water will be purified through a natural process using wetland plants to create a refreshing and clean swimming experience only 15 minutes' walk from King's Cross station.